So with all the Wedding Planning, Holiday and run up to our big fat Bavarian Wedding i took a step back from blogging so my monthly post about MM got lost. With her getting older now i decided that i will probably post less frequently about it. how it feels to us! Tidying up – She still a big fan of tidying up but also tidying out my handbag, whenever i leave one for her to reach she’s pretending to put it on her shoulder and walk around with it before starting to take each and every item out of the bag to inspect. Pushchair Mad already?? – She finally found her love to pushchairs and loves nothing better then climbing into them to go for a ride. Only took her 1.5 years to realise its actually fun. She even takes a nap in it and her favourite bit is when i bring a buggy inside she insist to be pushed into the living room so she can watch TV whilst sitting inside it! Fisher Price are her current favourites. 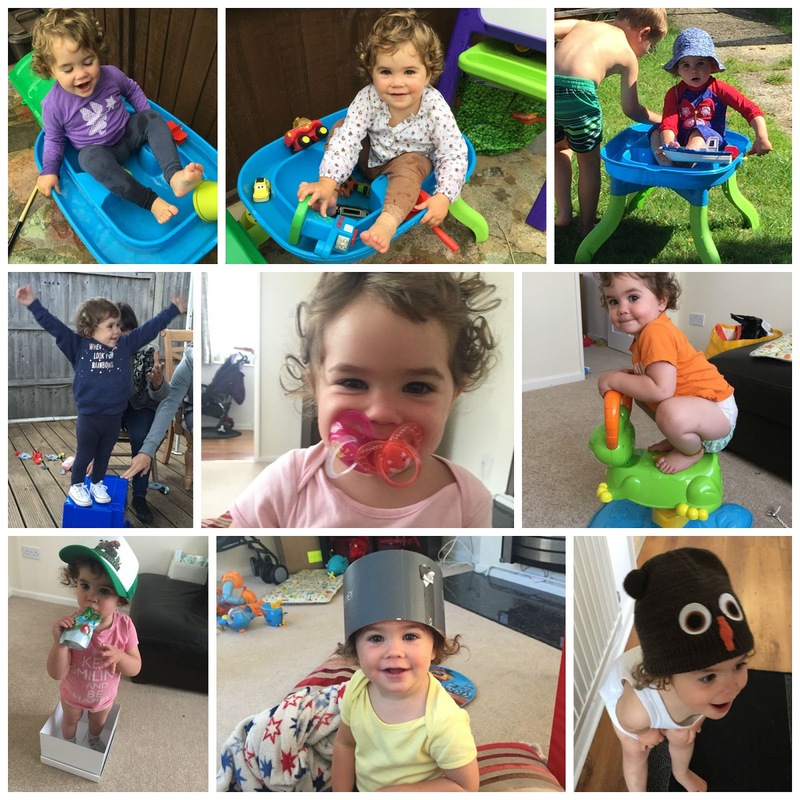 Sleeping Routine – We already got most of the items we need to decorate her big girls room but the croup came between us and moving her out of our bed into her very own single bed. So we will co sleep for another few weeks and hopefully after we come back from Germany we can settle her into her own room! 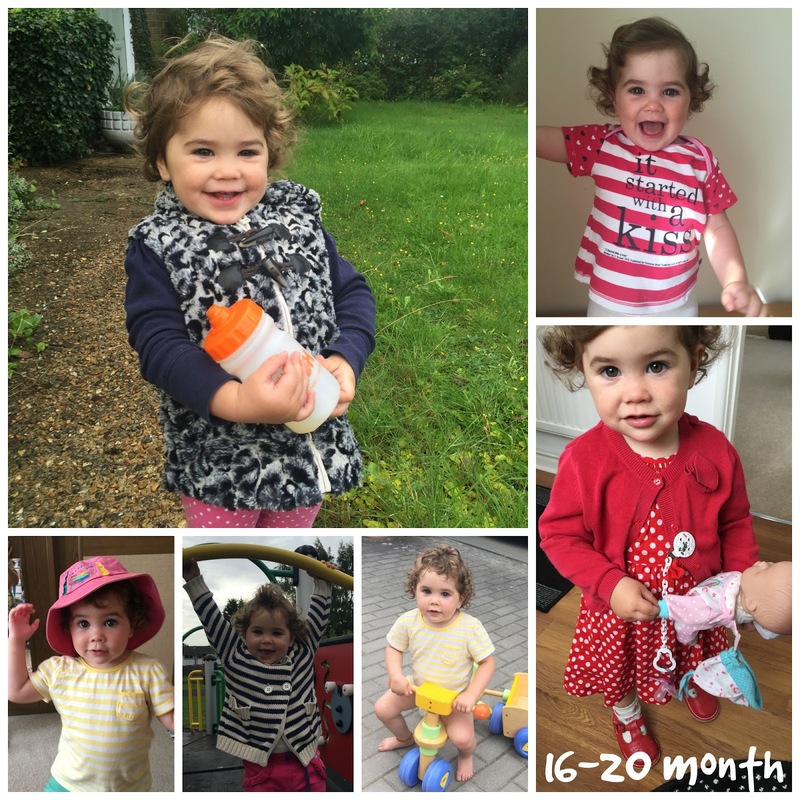 Teething – We nearly got the full set! Yay i can only spot 4 teeth missing but all of her back ones are out its just some of the ones on the side who are yet to pop up and say hello! We are still very much fan of the Amber Anklet and actually gave MMs Baby sized ones to my brother and his girlfriend who are expecting there first baby in a couple of weeks! Likes/Dislikes – She loves nothing better then tapping on my leg to indicate she wants to come up for a cuddle and a kiss. Dancing is her favourite thing to do all day long, when there is a song on the radio in the kitchen, in the car, on telly she starts doing her Irish dancing routine with stomping her legs up and down its so cute to watch! Highchairs and Car seats are just the pain of her life she doesn’t like to be in them and tries it all to get out of them as quickly as possible. When somebody leaves the house and doesn’t let her come with them than she can get really upset and she is very particular when it comes to the way she wants to walk to the car. I always go the safe route through our front garden walkway onto the driveway but little miss is heading straight for the front gate along our little garden wall to the driveway.